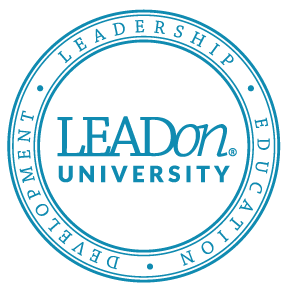 Podcast #10: LEADing the Generations from LEADon on Vimeo. In our tenth Podcast, Drs. Jared and Steve discuss the exciting possibilities that exist because of the various generations in today’s workplace. While the generation gap may seem daunting to some leaders, there are specific strategies LEADon suggests to not only bridge those gaps but also harness the strengths that each generation in your Corporate Family® has to offer. While there are many notable differences between generations that leaders need to be aware of, they can also learn skills that will help manage these differences and maximize team members’ potential in order to increase their organization’s productivity and profitability. Social scientists have been studying the unique characteristics of generational differences and have even categorized them into specific groups dating back to the founding of the United States. More recently, researchers have studied and written about the impact that Baby Boomers, Generation X, and Millennials have on society as well as in the workplace. Add to these three generational groups the current “Homeland Generation” (those born after 9/11 who are still in school or are just preparing to enter the workforce), and you can understand why it is critical for leaders to learn how to interact effectively with these populations of current and future employees. by becoming a “cultural translator.